I still don’t know how or why this happened, but after some googling the way to fix it was to follow instructions as outlined here. This worked for me – I could now log in with the correct URL. In my current home setup I have a single server performing many functions thanks to Citrix Xenserver 6.2 and PCI Passthrough. This single box is my firewall, webservers, and NAS. My primary motivation for this is power savings – I didn’t want to have more than one box up 24/7 but still wanted all those separate services, some of which are software appliances that aren’t very customizable. My current NAS setup is a simple Debian Wheezy virtual machine with the on-board SATA controller from the motherboard passed through to it. The VM runs a six drive software RAID 6 using mdadm and LVM volume management on top of it. Lately, though, I have become concerned with data integrity and my use of commodity drives. It prompted me to investigate ZFS as a replacement for my current setup. ZFS has many features, but the one I’m most interested in is its ability to detect and correct any and all corrupted files / blocks. This will put my mind at ease when it comes to the thousands of files that I have which are accessed infrequently. I decided to try out FreeNAS, a NAS appliance which utilizes ZFS. After searching on forums it quickly became clear that the people at FreeNAS are not too keen on virtualizing their software. There is very little help to be had there in getting it to work in virtual environments. In the case of Xenserver, FreeNAS does work out of the box but it is considerably slower than bare metal due to its lack of support of Xen HVM drivers. Fortunately, a friendly FreeNAS user posted a link to his blog outlining how he compiled FreeNAS to work with Xen. Since Xenserver uses Xen (it’s in the name, after all) I was able to use his re-compiled ISO (I was too lazy to compile my own) to test in Xenserver. This is the result of a bug in the version of qemu Xenserver uses. The bug causes BSD kernels to really not like the DVD virtual device in the VM and refuse to boot. The solution is to remove the virtual DVD drive. 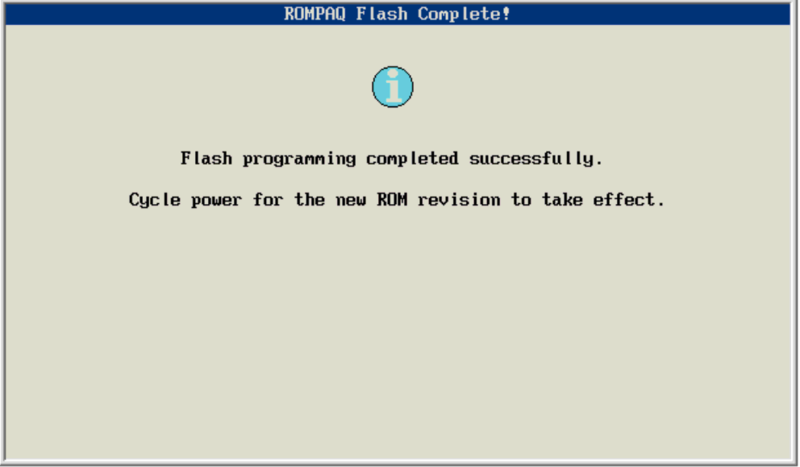 How, then, do you install FreeNAS without a DVD drive? It turns out that all the FreeNAS installer does is extract an image file to your target drive. That file is an .xz file inside the ISO. To get wired dad’s FreeNAS Xen image to work in Xenserver, one must extract that .xz file from the ISO, expand it to an .img file, and then apply that .img file to the Xenserver virtual machine’s hard disk. The following commands can be run on the Xenserver host machine to accomplish this. Create a virtual machine with a 2GB hard drive. Note that the IMG file is 2GB in size, which is larger than can sit in the root drive of a default install Xenserver. Make sure you extract this file somewhere that has enough space. Import that IMG file into the virtual disk you created with your VM in step 1. The server failed to handle your request, due to an internal error. The given message may give details useful for debugging the problem. This error can be safely ignored – it did indeed copy the necessary files. Note: To obtain the UUID of the 2GB disk you created in step 1, run the “xe vdi-list” command and look for the name of the disk. There is one aspect I haven’t gotten to work yet, and that is Xenserver Tools integration. The important bit – paravirtualized networking – has been achieved so once I get more time I will investigate xenserver tools further. A little while ago I bought an old HP Proliant DL380 G5 from ksl classifieds. I have used it off and on as a backup server but noticed that the drive performance was pretty abysmal. In an effort to fix this I decided to try and upgrade the ROM on the RAID controller it came with – an HP Smartarray P400 SAS/SATA controller. It turned out to be more difficult than I expected. I first tried booting into Ubuntu server per this guide but I ran into problems with getting it to work. I tried a 32bit version of Ubuntu but I couldn’t even get that version to boot – maybe because of the 6GB of RAM this unit has. I eventually abandoned my Ubuntu attempts and went with Arch Linux. Its live CD worked like a charm the first time – no fuss. I simply loaded the live CD, copied the update package to my current directory, marked it executable, and ran it. I then set to flash the BIOS, which hadn’t been updated since 2007. It was easier than the RAID array because HP created .ISO images for this task. I obtained the BIOS from here. It was a Windows executable for some reason. The EXE extracted the various image files and had a handy how-to guide. I took the iLO network CD installation route. I brought up the virtual media manager, loaded the ISO provided, and booted the machine. It brought up a simple flashing screen which updated the BIOS in about 5 minutes. My proliant is feeling very hip and up to date now. rsync is a powerful backup tool. I have used it over SSH before but never with its own internal daemon. Following this guide I configured the rsync daemon with a share and host based access control. I then configured an rsync task in freeNAS to sync pictures between itself and the rsync server via rsync, not SSH (for speed). In this example my server is running Debian Wheezy and the client is running FreeNAS. Note the only access control here is via source IP address. You can also have username/password access controls which I commented out. Putting that to the test in the command line with an additonal -P parameter to see progress, I saw that the command synchronized successfully. Excellent. I tested transfer speeds using both the rsync daemon and ssh method. There was a noticeable (8 MB/s) difference in transfer speeds. The rsync way is definitely faster. Scenario: A drive is your RaidZ pool has gone bad. You have a replacement drive ready to go. You pull the drive you thought was the failed drive.. only to realize that you just pulled a good drive out, causing the array to go completely offline. Has this happened to you? It has not happened to me yet, but I wanted to see how ZFS responded. I have to say I am pretty impressed. That was all I had to do! The array came back up (although in a degraded state) and all my files were there. “zpool clear storage ada3p1” and it completed without any issues; however it still wouldn’t let me add the drive back into the pool saying it was already there. The amazing part – zfs realized that it only needed to sync a small amount of data to bring it back into sync with the pool! Compared to mdadm where it would rebuild the whole array even if it was the same disk you pulled, this is astounding. Did the trick (where the string of numbers is the placeholder for the drive you pulled – a zfs status will tell you what that number is.) Done. In my experiments with freeNAS and RaidZ I have come to miss some functionality I enjoyed with Linux and mdadm. One such function was being able to watch an array rebuild, or in ZFS parlance, a pool resilvering. My inability to watch the resilvering stems from the difference between what the watch command in Linux does and what it does in FreeBSD. Watch in BSD snoops on a tty line whereas watch in Linux executes a command repeatedly. One option is to install a watch utility for BSD that behaves as the Linux watch command; however, freeNAS is a small read only image so installing things isn’t an option. The way to do it in freeNAS is to use a while loop in the command line. After 20 minutes of googling I realized that there is no easy way to do this in one line like you can in bash (something about things requiring to be on a new line), so I had to settle for a quick script like one outlined here. My familiarity with scripts comes from BASH, but I quickly found out freeNAS doesn’t ship with BASH. I’ll leave the rest in for reference sake. I did some digging on how to write CSH scripts and thanks to this website was able to write a simple CSH script to execute a given command at a given interval indefinitely. #A simple script to replace the Linux watch functionality. The first input it takes is how many seconds to refresh; the second, the command to run. If the command has arguments (spaces), it must be passed in quotes. While I hear that “ZFS likes to use the whole disk” I wanted to experiment with creating a RaidZ pool with disks of different sizes. This requires partitioning the larger disks. The GUI in FreeNAS does not allow you to do this, so we must venture toward the command line. While these commands were run in FreeNAS they will work in any FreeBSD based system. The commands below assume you are using the first four disks in the system for the RaidZ pool. I realize you can make these commands more efficient by using shell-fu but I will put them all here for completeness. Why does everyone call their pool “tank”? It must be in some documentation somewhere that everyone copies. If it comes out healthy you are good to go. With the pool manually created you can now import it into FreeNAS so it can be monitored / managed.